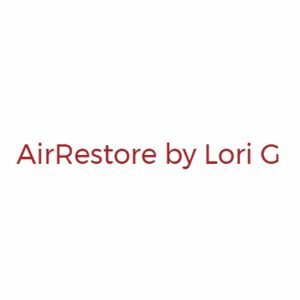 AirRestore/AirRepair420 is based on the knowledge that fresh air has more benefits than anyone ever imagined. If you simply think about what happens to EVERYTHING when Mother Nature is in control, you will realize that germs and viruses don’t spread, odors dissipate quickly, mold doesn’t grow, you sleep better after being outside all day. The list goes on and on. Simply putting energy into our indoor air makes it just like outdoor air, FRESH. Our Inventor/CEO, Bill Converse has been in the indoor air quality business for over thirty years. His first company, Alpine Industries brought the issue of indoor air quality to the world’s attention. He has been called upon by the U.S. Government to clean the air inside the Pentagon after the 911 tragedy. He has also been called upon by the Australian Government as well as a consultant for many global pollution problems. When Mr. Converse sold his company and retired, he couldn’t turn off his drive to improve his original products. He learned that “clean air” is good but fresh air is what our bodies need. With that in mind, AirRestore was created. Is this device an air purifier? NO! Our technology simply restores the energy into your air. We duplicate Mother Nature by putting energy into your air. Do I need to replace filters or add anything to make it work? No filters are necessary because the energizing process takes place in your environment not in the Naturalizer itself. Yes. We offer a five year warranty. A RMA number is required for repair or replacement. How much area does one Naturalizer cover? Each Naturalizer typically covers up to 800 sq.ft. of open space. Which Naturalizer product is right for me? We have three different Naturalizers to choose from. The Element is good for everyday use. It comes in a choice of wall or corded. A vehicle adapter is available to be used with the corded Naturalizer. The Aura is designed with a quieter fan and for use in the bedroom. It also comes in your choice of wall or corded. The Tempest was designed for areas that need stronger power. It has been replaced by the new USB Tempest and is no longer available. The USB Tempest is our newest technology. It combines the flexibility of ALL three of the previous Naturalizers. At the lowest setting, it is the Aura. Turned up about halfway, it is the Element. At full power, it has the strength of the Tempest. It comes in the USB corded version only.